Background and aim: Postprandial hyperlipidaemia has been associated with acute cardiovascular effects e.g. endothelial dysfunction and peripheral vasodilatation. Oats have known health benefits, and may reduce the transient, post-prandial endothelial dysfunction. 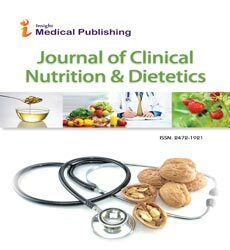 The aim of this short study was to investigate if markers of endothelial function pulse wave velocity (PWV) and augmentation index corrected for heart rate ([email protected]) are affected by a meal with varying levels of saturated fat, with or without oatmeal. Methods and results: Fourteen subjects (aged between 22 and 51 years) were recruited. On their first visit, following baseline measurements of anthropometry, blood pressure (BP), heart rate (HR), PWV and [email protected], they were given one of three meals (low fat, high fat, and high fat with 60g oatmeal) in a randomised order. Subjects returned three hours later for re-assessment of BP, PWV and [email protected] Visits two and three followed the same protocol, but only BP, HR, PWV and [email protected] were measured. There was a significant correlation between baseline PWV and systolic pressure (p<0.02), and [email protected] and diastolic pressure (p<0.005). [email protected] was positively related to BMI and waist circumference (p<0.01 and p<0.005 respectively). [email protected] fell following the high fat meal (p<0.05), but not when oats were taken. Heart rate increased following the high fat meal with oats (p<0.05), but no differences were found between fasting and postprandial PWV after any of the meals. Conclusion: [email protected] was correlated with BMI and waist circumference. The decrease in [email protected] following the high fat meal requires further investigation, and [email protected] is possibly a more sensitive marker of arterial compliance than PWV in a young healthy population.